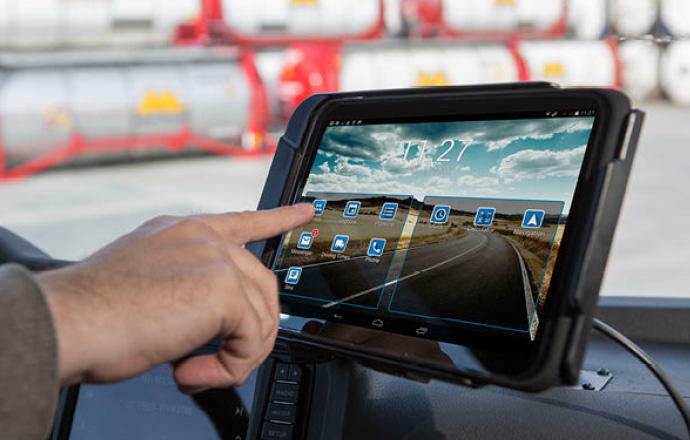 The Rheine-based Steinkühler group is equipping its fleet with the Trimble CarCube telematics solution, representing a total of 300 on-board computers. Since March of this year, the company has been progressively rolling out the CarCube solution to its entire fleet. In future, the FleetXPS Application mobile telematics solution will also allow the integration of subcontractor data. The Steinkühler group’s goal is to further optimise its logistics processes, streamline information flows between drivers and planners and improve its quality management. Gabi Steinkühler, managing director of the Steinkühler group, is enthusiastic about the benefits of the new telematics system. We have been using a telematics system for more than ten years and have now moved up to the fourth generation – this time along with a change in supplier. Thanks to the CarCube, we now have a solution that operates across all generations, with open interfaces to our ERP system and that adapts flexibly to suit our requirements. Integration in the best4log-x SAP system was a particularly important criterion. 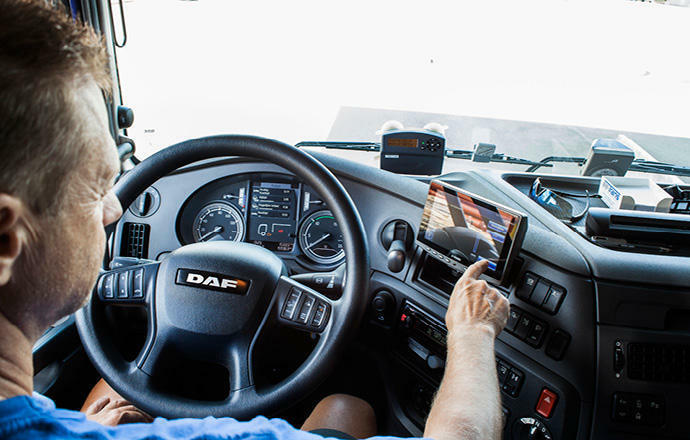 The CarCube telematics solution shows both drivers and planners a precise analysis of data in an optimised display format, giving them constant access to a real-time overview of all driving and rest periods, as well as the remaining hours with regard to driver compliance. Another convincing factor was the ability to quickly and easily adapt workflows to any changes in underlying conditions. CarCube uses a specific sequence of questions to create a precise definition of each workflow. This questions path can be customised and adapted at any time. The flexible design of the question path allows us to meet demanding customer requirements as well as our own quality management imperatives. As an added benefit, the driving style assistant should also help to promote more environmentally friendly driving practices. In future, equipping subcontractors with the FleetXPS Application mobile telematics solution should be a quick and easy process. This will allow us to efficiently integrate our partner companies in our workflows. The solution will capture all the relevant data and transmit it directly to our shipping software.